I received a total of $1,736.98 of dividend income in September. Dividend increases have been insane and you can truly see/feel it during this month. Further, this had months of reinvestment and purchases to back it and wow, the dividend income was real, another record-month setting dividend period. I can’t wait to measure this one against the upcoming December quarter-end results. Further, the 401(k), Health Savings Account (HSA) and all dividends are automatically invested/reinvested and helps take the emotion out of timing & making a decision. Also, to find out why I max out my 401(k) and HSA – please refer to the 3rd part of my tax series, (though I have the breaks on the 401k, as I recently posted due to the 6 month waiting period, only 3.5 months of waiting to go!) as that describes the magnitude of benefits to increase the amount you can invest due to reduction in taxes. Here is the breakdown of dividend income for the month of September! 31… different entities/companies paid me a check this month. Wow. Additionally, we have a lot of NEW players that I see here, such as Muncy Financial (MYBF) and Isabella Bank (ISBA). Further, BHP Billiton is back baby (BBL) and paid me a heft dividend, which was nice on the reinvestment. Feast or famine with them over the years I’ve owned them, but love the cash flow that comes my way. Additionally, so many companies here have already increased their dividend and I couldn’t feel any more lucky than I do right now. I hope my additional purchases in Kraft (KHC), Dominion (D), start to pay off, as well. Similarly, I have split out between the individual stock amounts and the retirement accounts, as the ” – R” indicates a retirement account dividend (or the furthest column to the right). I separate these two, as I like to know what portion of my dividend income is coming from those retirement accounts that I cannot touch until 59.5 (barring any other usage rule I could use). Here, it shows that I received a total of $757.77 (up from $547.21 last year) or 43.62% of my income from retirement accounts and the other 56.38% was from my individual taxable account portfolio. This ratio also has stayed fairly consistent. Additionally, this shows from retirement accounts that I’m all ready for my set it and forget it mentality to keep that income going. To see my portfolio – one can go to our portfolio summary page. So what happened month over month? 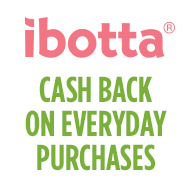 First – my income was up 27.9%! I’ll be well over $2,200 next year, if I can keep that same growth rate up. Crazy thing is, I think I can fricken do it. Honestly, from the taxable account, not too much has changed. We can see my BBL dividend was about $30 higher than last year, thanks to them really bringing back and increasing their dividend. Dividend reinvestment has fueled most of the other growth that we see, not to mention massive dividend increases. The fun one has been Norfolk – as that’s up over 30% since last year. Further, Delta (DAL) was in on last year’s but they paid in August, this year. That swapped in with DowDuPont (DWDP) this year. The Kraft (KHC) is much bigger, due to further investment. Mattel (MAT) cut their dividend completely, weak. 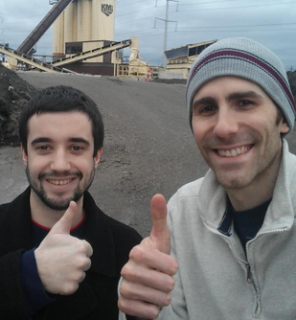 It’s been a crazy, busy year and the dividend growth engine is full-fledged as well. The fuel, though, this month has been a straight combination of dividend growth, dividend reinvestment and additional capital. The trifecta to fuel the engine! Dividend increases this month did not disappoint! McDonalds (MCD) came in with the big-mac of all dividends, at almost 15%! This was also UNEXPECTED from a dividend investor’s standpoint. The Tax Cuts Jobs Act (TCJA) must be paying off that well or, this can be just a benefit of owning a great & well-run company. I’ll say both. Further, Lockheed (LMT) came in with a scorching double-digit increase, thank you! In order for me to add $58.71 to my dividend income, I would have to invest $1,677 at 3.50%! As I discussed in my normal monthly expenditures article, this dividend income would cover almost 2x of my average $984 monthly expense, which includes the mortgage, property taxes, insurance and utilities. Though not every month is a quarter-end, this would cover almost the entire-month’s cost of living, gosh dang does that feel incredible. What a month, everyone, what a month. In similar fashion – all of the investing from last year and moves this year, shows that my aim to save 60% of my income, and making every dollar count, has allowed promising results already this year. This entry was posted in Monthly Summary and tagged Dividend Income, Every Dollar Counts, kraft, McDonalds. Bookmark the permalink. Great month. $1k you can use right now, any way you want – I am sure people not involved with FI would look at that and gasp. And you did no (current) work to get it! That is where it is at my man. Also it shows the value of diversifying – all of the new positions and growth more than made up for the disappearance of MAT’s dividend. Sweet. Not too bad, right? A lot of pre-work, work on the savings and then it takes care of you… for years on end. Huge value in diversification. When one company goes crazy with a dividend, another one may not, but – spreading the wealth reduces volatility and risk, of course! Stay thirsty out there Gremlin. Nice Lanny, huge month and great growth y/y! Awesome to see the snowball keep rolling and that growth keep coming! Can I do it again next year? You gosh damn right, winter is coming and I love it aka dividends and snowball rolling. Dang, 27.9% increase year over year! Thanks for the charts breaking that down. Nice to see some large dividend increases for you! HUGE month of dividend increases. We’ll see what October has in store. I am hoping a few more, come on!!! Awesome stuff Lanny! Over $1700 is huge. And that $60 of extra dividends from dividend increases is just icing on the cake. We’ve still got a ways to go before we can really get back to aggressive investing, but we hit a milestone in September with our first comma month! I’m pretty stoked about that and can’t wait to see what the rest of this year and 2019 has in store once we get back to investing our excess cash flow. Thanks for the comment. The dividend increase piece to this article is actually the more fun part. That’s where the dividend investing gets real. NICE JOB too on the first comma month. That’s only the beginning my man… the best is, by far, yet to come. Lanny, great work! Almost 30% YoY, and that on a already respectable amount of money. Keep it up! Let’s get a consistent > $2k going. Can we do it? We should all come up with a plan to get there… man!!! Just trying to, “do what I can do, when I can do it” –> what a ridiculous quote. It’s been a few days since I’ve purchased a stock… getting an itch. Wow! You’re crushing it right now, Lanny. I know that every dollar counts, the returns have been amazing, and the dividend growth is awesome with this company…but it’s still funny to me when I get that Visa dividend. Having thousands invested and receiving enough to go buy a McChicken haha. Thank you. That Visa dividend… so sad, but gosh dammit – at some point, it will buy you a franchise of McDonalds. We can start with one McChicken, of course, hahaha. Too damn funny. Wow, Lanny! 27.9% YOY growth on that amount of income is incredible. It’s even better when considering the diversity of the income streams that delivered the income. Seeing those results is incredibly motivating to me. Also, we shared dividends from 7 of the same companies last month. Thank you!! I’m trying to stay aggressive and pumped if I was able to motivate you, even in the slightest. Nice work with the 7 dividends, make it 10 to pay you December, you got this. September was a serious month in every respect. Huge $ total, dividend raises boosting returns and insane year over year growth. Talk about a solid end of quarter result. I’m sure seeing these real world results keeps you pumped up for the final 2018 push. Keep up the amazing work. So happy about the dividend growth announcements. Really am hoping Visa does a second round dividend. Staying tuned! Absolutely am pleased with NSC this year. After a few years of little to no growth, they came through BIG. Wow! What an amazing month! Congrats on the success, Lanny! $1,736.98 is an impressive haul of dividends. And to receive a 27.9% increase at this level of income? That’s remarkable. This just goes to show the power of dividend raises and DRIP. I love your message and reminder to make every dollar count. This has become more top of mind lately. I am really focussing on what brings value and what doesn’t. Thanks for the motivation. The power of DRIP and Increases are insane. Every dollar is HUGE. $1 today is far more powerful in the future, but you have to start with it, NOW! I guess its an alright month for ya. Haha jk. man that is absolutely huge! great growth from last yr and just those dividend increases create a nice boost to the forward income. keep it up, definately where i wanna be soon enough! Busting my chops, huh? ahaha, kidding. Bring on more dividend increases, 3 more months worth and I’m pulling for a few hitters – Aflac, Visa and Iron Mountain, come on!! Blast off! You’ve clearly been putting rocket fuel in that dividend engine! You’ve had a great month and I love seeing how each leg of the dividend tripod is working for you. I have a feeling that the monthly roundup is going to be quite impressive for September, and you’re going to be up there near the top. I’ve got my income report coming out tomorrow, and it was a good month. Btw, as an FYI, I noticed my email notifications didn’t alert me of this post. Going to resubscribe to see if that fixes the issue. Wow! This is an outstanding achievement Lanny. Not only are you set to break that 2k mark this time next year, but to have gained a 27.9% increase with such a high dividend is insane. Congratulations on acieving what so many out there are either working towards, or dreaming of. Keep up the awesome job, I can’t wait to see what October nets you. What a great month. Love to see that organic growth, too–more than $50 on top of your already vigorous savings and reinvestment. I sometimes wish that we had more invested in individual stocks to see the steady progress, but I’m trying to stay the course with my various funds. VYM has been treating us pretty well so far, although one has to be good at budgeting if you’re relying on it, since some quarters are significantly more profitable than others! Amazig work Lanny, your hard work is paying off. Keep it going! You’ve almost got your portfolio up to escape velocity. Just stand back and watch it go on its own! If you take out VINIX, you’ve got some fairly even dividend payouts… nicely diversified I’d say. I did want to ask about MAT… any specific reason you are holding MAT at this point given its poor performance and the fact that it’s no longer paying a dividend? Curious to get your thoughts here. 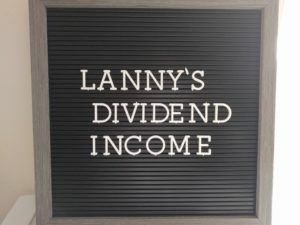 Great to see all your dividend income progress, Lanny…. very inspiring. Let’s tear it up in Q4… and it starts now. you know, I read these reports every month but for some reason, this one stands out. Mainly because of the relationship between the amount of dividends earned in comparison to your average monthly expenses. It’s very inspiring to know what can be achieved with dividend growth investing. Thanks Lanny. Nice. Great YOY and nice dividend increases. It’s grest getting left overs so when you do decide to draw your dividends you will have lots of options you can use. Great companies and some are getting up there. Keep it up. looking good! that YOY growth rate is nothing to sneeze at when you starting churning out these huge numbers! I’m loving all the new names and additions to the portfolio ad it’s going to shape up to be even better next year for sure. I can’t wait to see you tipping the $2,000 mark! At your current rate, it shouldn’t be too much longer.